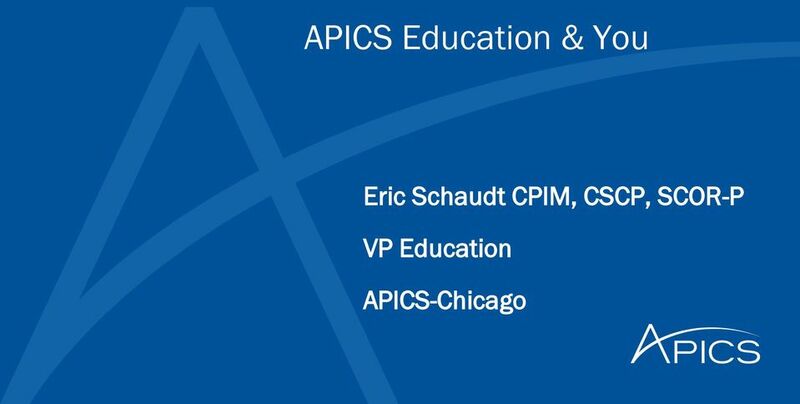 Download "APICS Education & You. 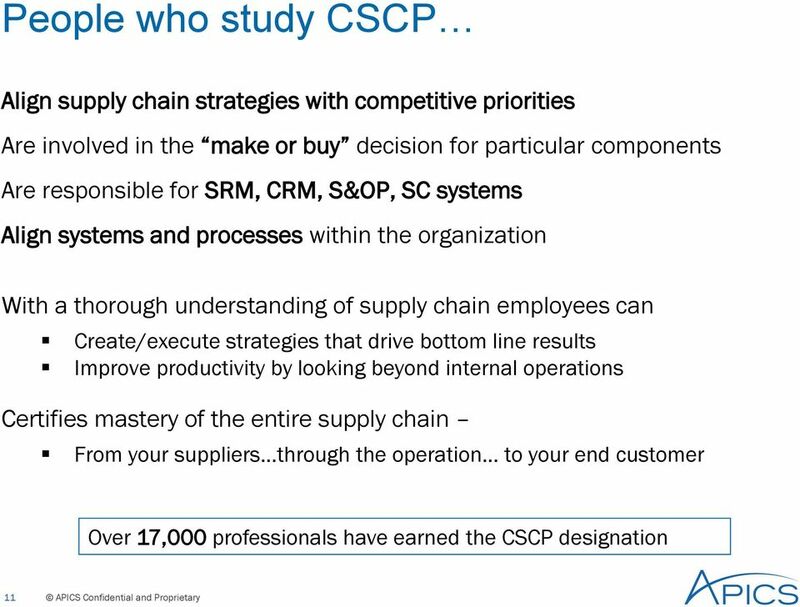 Eric Schaudt CPIM, CSCP, SCOR-P VP Education APICS-Chicago"
Boost Your Supply Chain Performance and Productivity. 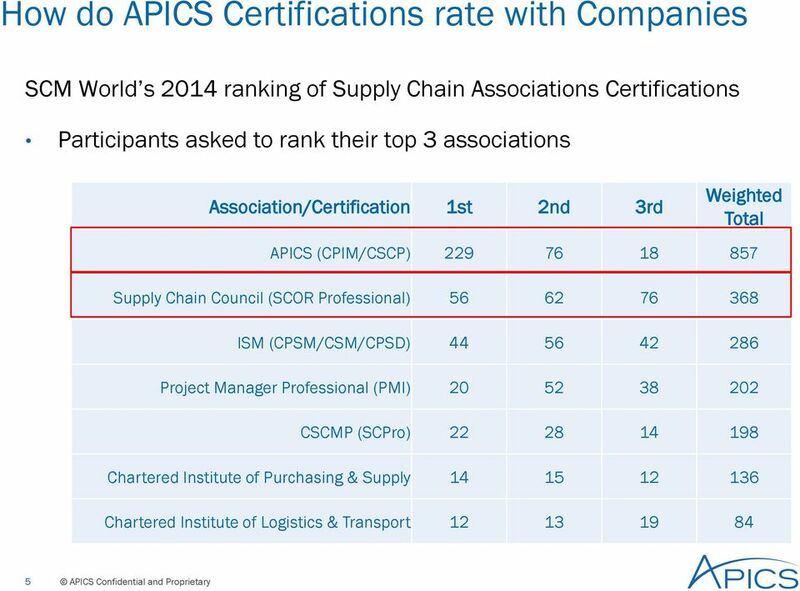 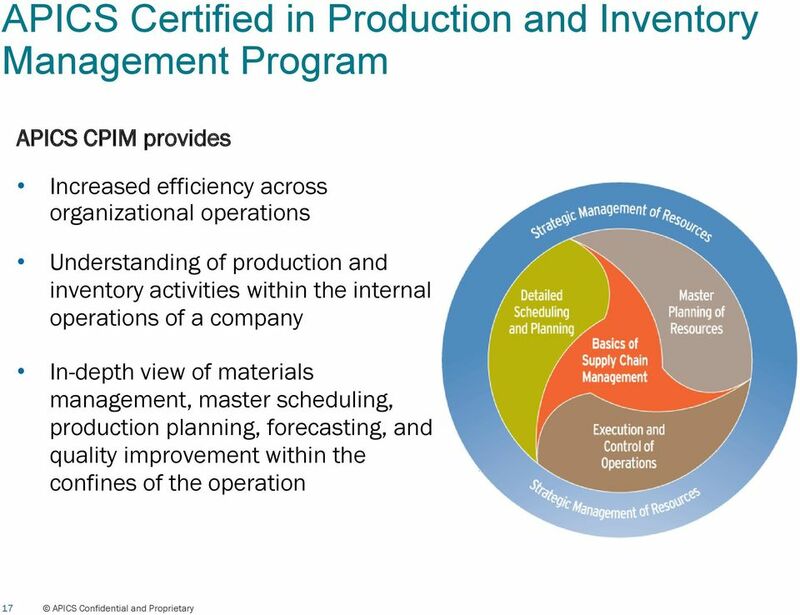 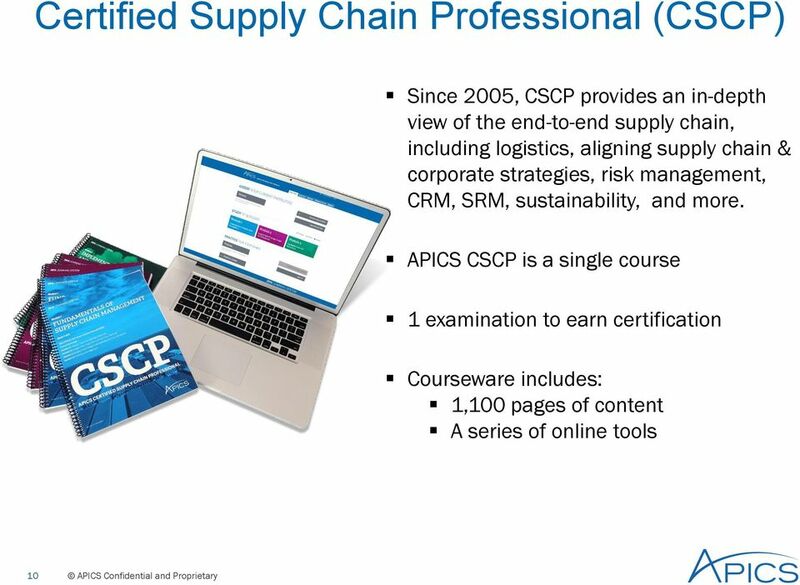 APICS Certified Supply Chain Professional CSCP LOOK INSIDE CONTENT UPDATED FOR 2012! 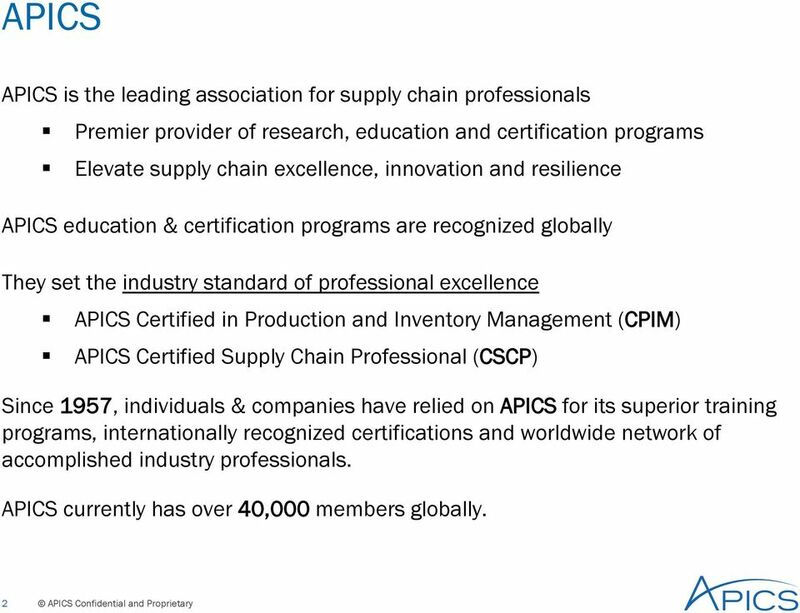 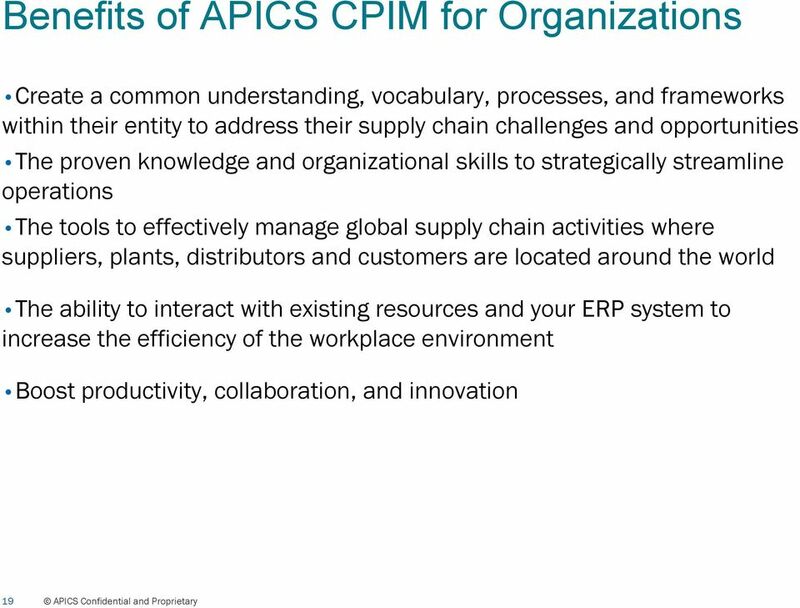 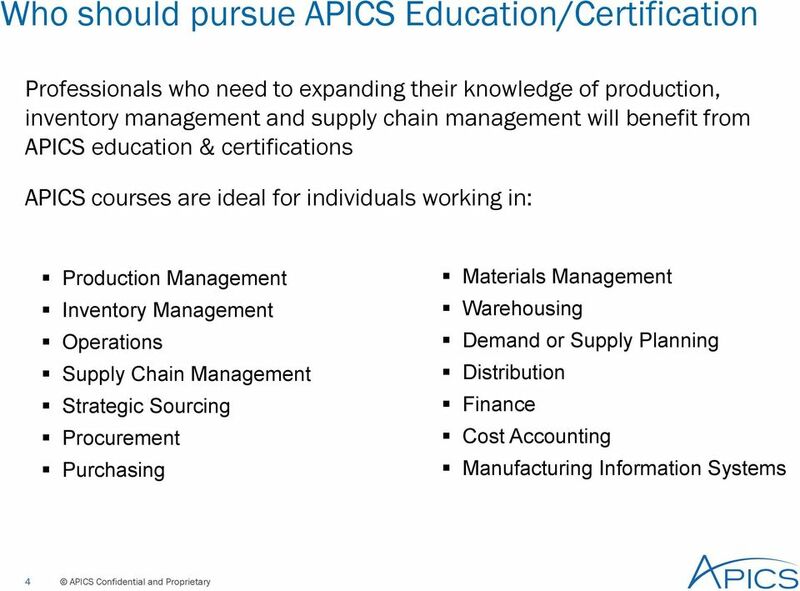 APICS and the APICS Supply Chain Council Jonathan Thatcher Director of Research APICS Supply Chain Council jthatcher@apics.org and the Building and validating knowledge in supply chain and operations management. 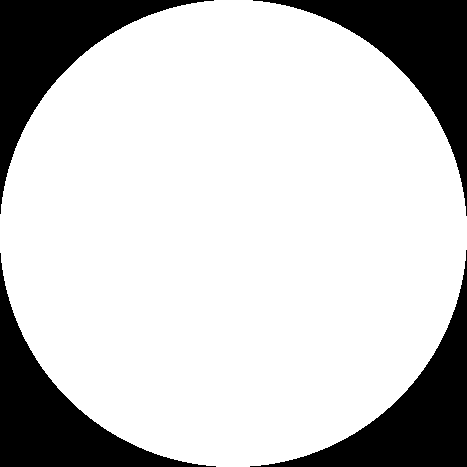 SAP. 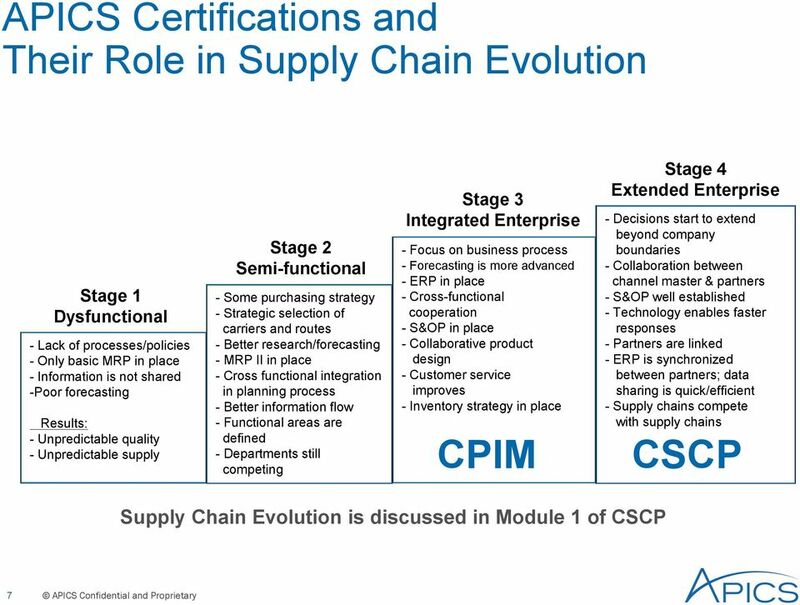 To help you drive the most value from certification opportunities, SAP is now offering multi-tiered certification paths for specific subjects. 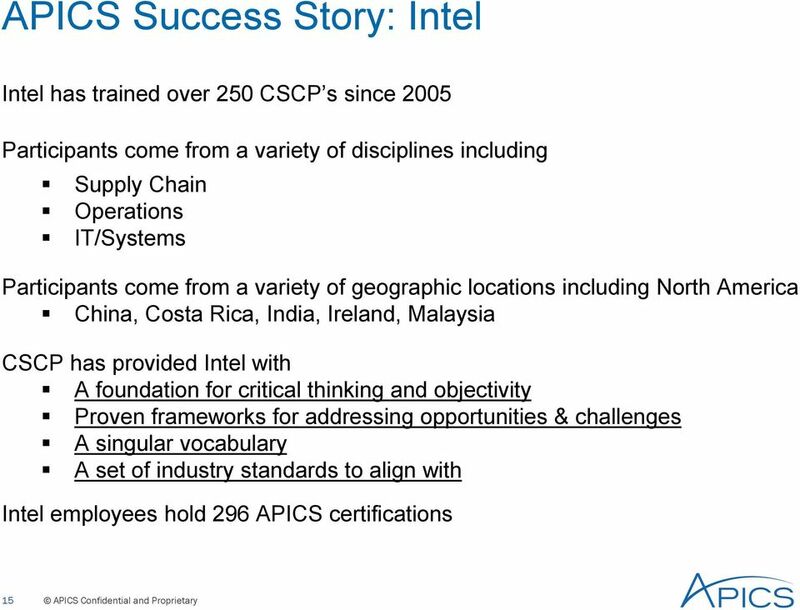 Transform Your Team. 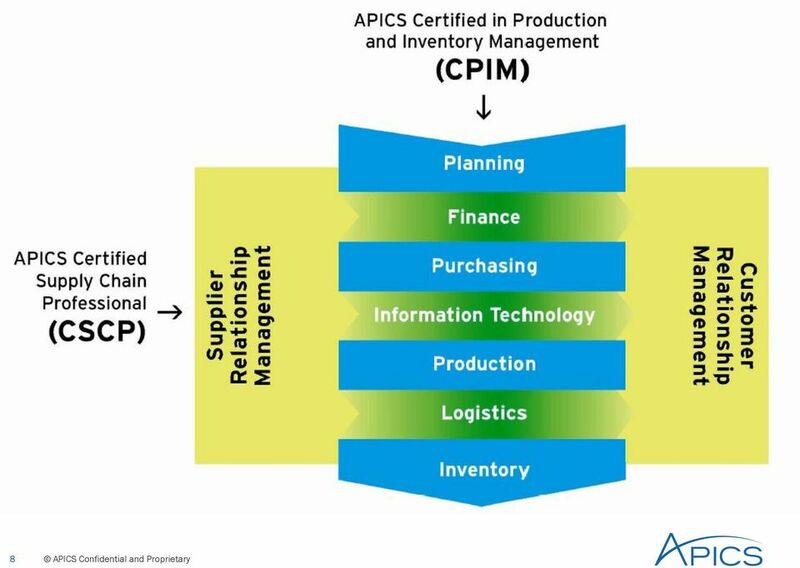 Position your team at the forefront of supply chain management with the Certified Professional in Supply Management. 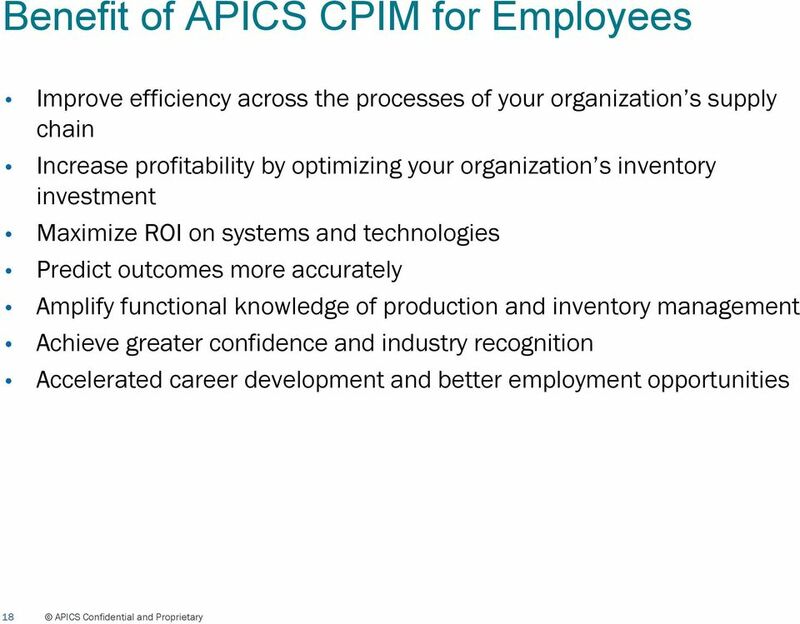 What Is Your APICS Elevator Pitch? 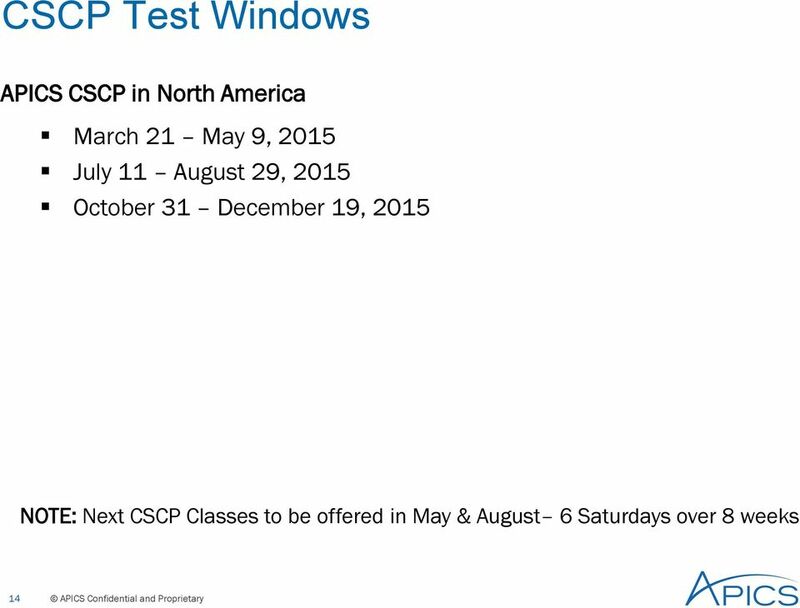 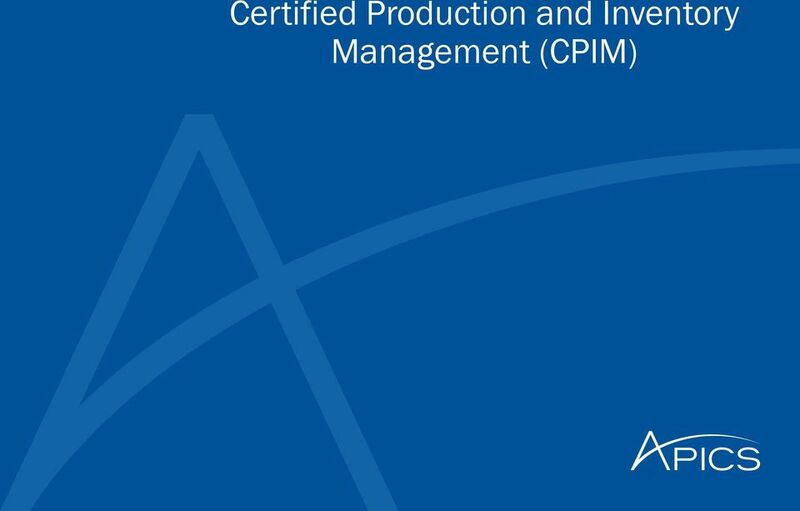 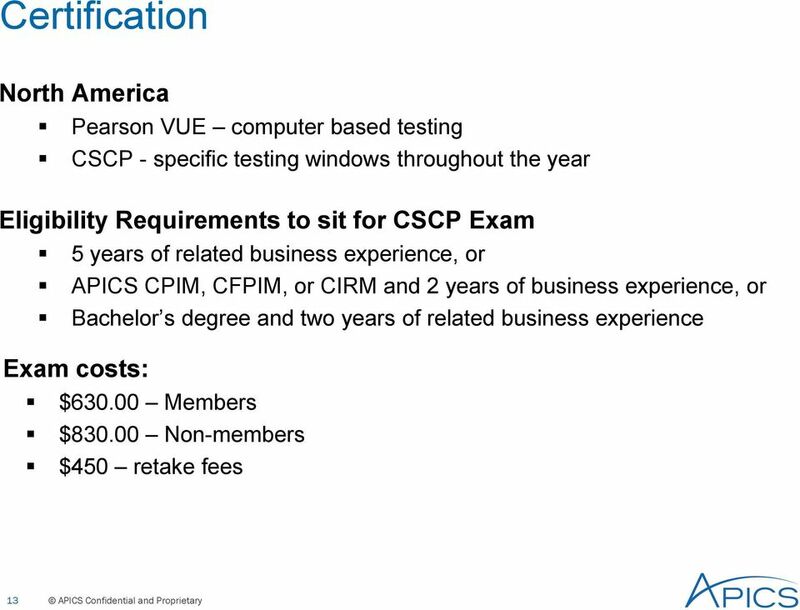 APICS CERTIFIED SUPPLY CHAIN PROFESSIONAL (CSCP) Procedures for taking computer-based testing (CBT) exams in North America. 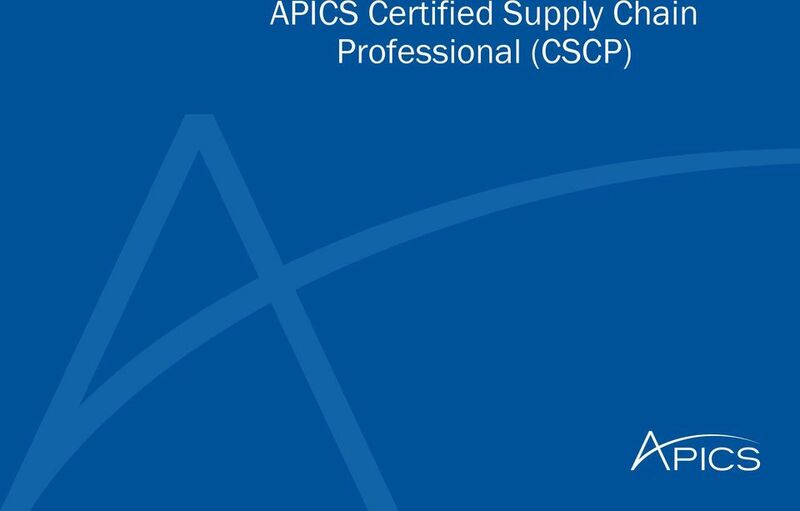 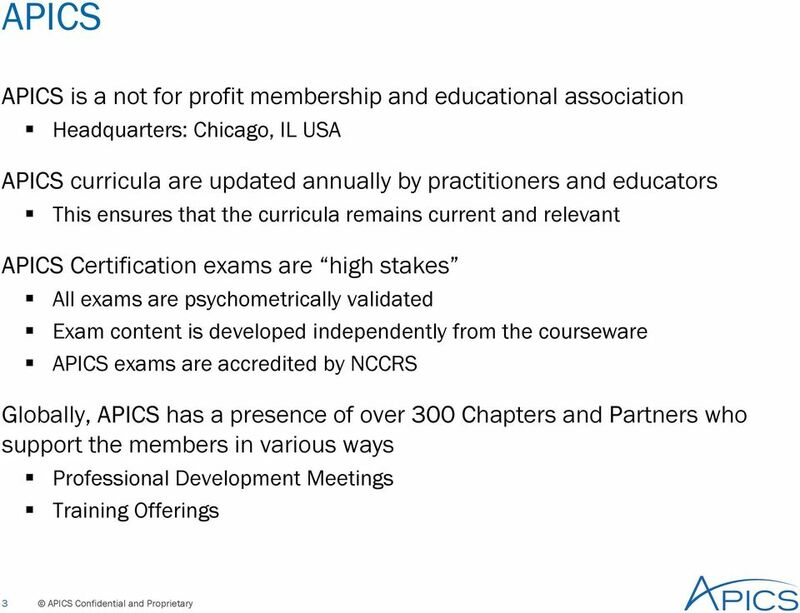 APICS CERTIFIED SUPPLY CHAIN PROFESSIONAL (CSCP) Procedures for taking computer-based testing (CBT) and paper-and-pencil exams outside North America. 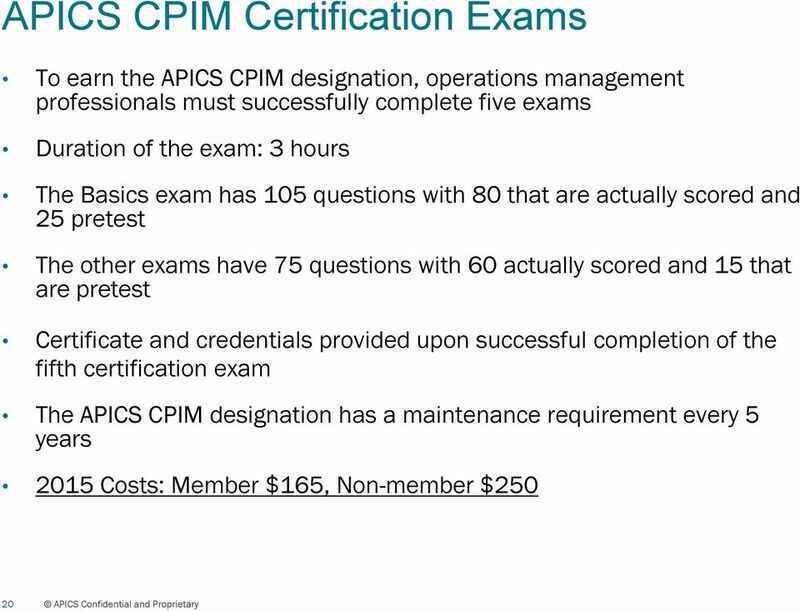 What Makes PMI Certifications Stand Apart? 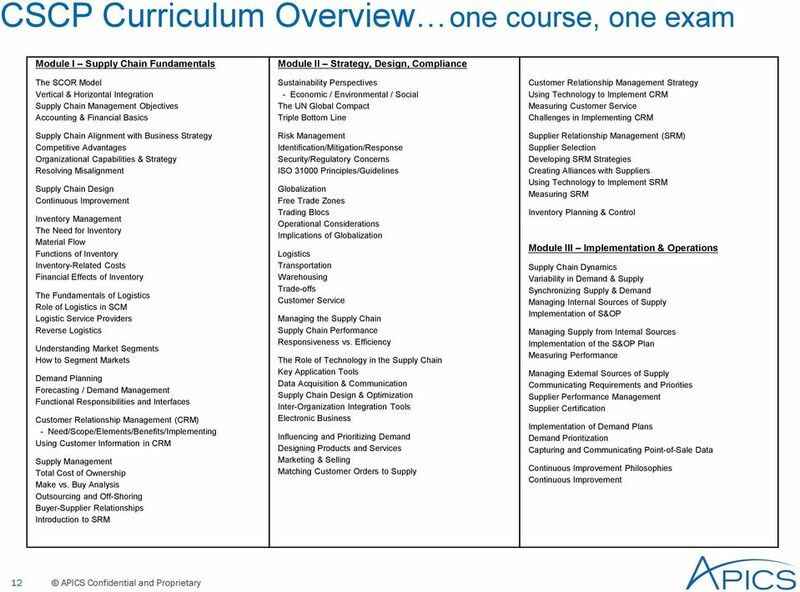 Information Systems for Business Integration (Week 13, Thursday 4/5/2007) BUS3500 - Abdou Illia, Spring 2007 1 LEARNING GOALS Explain the difference between horizontal and vertical business integration.